With over 200 members, the Guild are truly the “worker bees” of Musical Theatre West. Each year the Guild donates over $300,000 in man-hours through their volunteer activities. 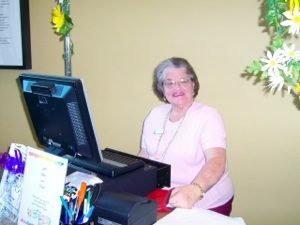 Guild members work as ushers at performances, run the lobby Gift Booth, provide assistance backstage and at auditions and rehearsals, and lend clerical assistance at the administrative offices. Musical Theatre West truly could not operate without the incredible support the Guild provides. The Musical Theatre West Guild members are truly the “worker bees” of the organization. Everywhere there’s an MTW event, you’ll see Guild members, greeting you at the doors, ushering you to your seats, helping with paperwork at auditions, doing clerical work at the office, selling you items at the lobby gift booth, assisting at fundraisers, feeding the cast between shows – these tireless workers know no bounds! 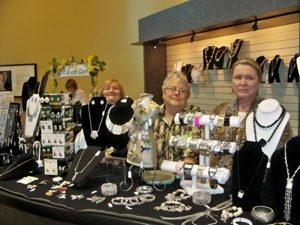 Located in the lobby of the Carpenter Center during all MTW performances, the Guild Gift Booth has all manner of jewelry, purses, accessories and theater-related items on sale for our patrons. These items are handpicked by our Guild buyers for your shopping enjoyment! 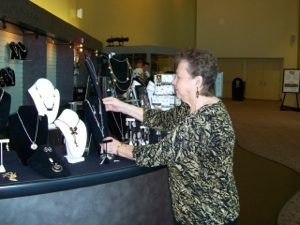 The Gift Booth is staffed entirely by Guild volunteer members who will be glad to help you pick the perfect gift for yourself or someone else. 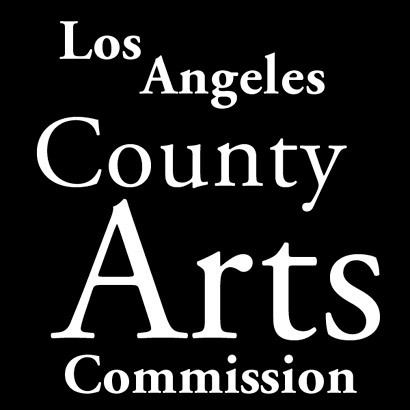 All proceeds from the Gift Booth go to help Musical Theatre West’s Education and Outreach programs, which help introduce thousands of children to live theater each year, and to help ensure the continued top quality of MTW’s mainstage productions.